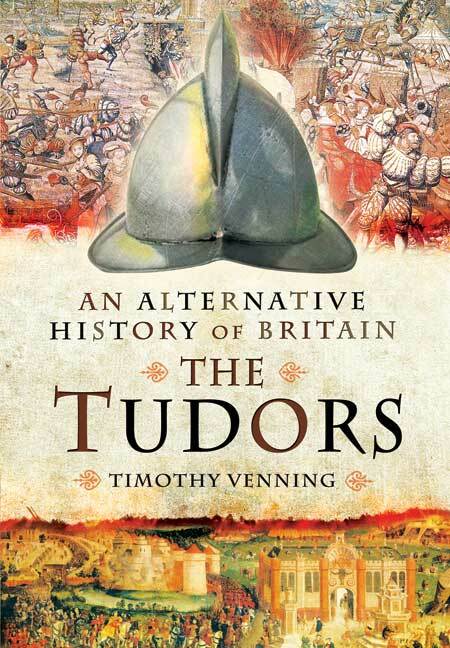 You'll be £19.99 closer to your next £10.00 credit when you purchase An Alternative History of Britain: The Tudors. What's this? Continuing his exploration of the pathways of British history, Timothy Venning examines the turning points of the Tudor period, though he also strays over into the early Stuart period. As always, he discusses the crucial junctions at which History could easily have taken a different turn and analyses the possible and likely results. While necessarily speculative to a degree, the scenarios are all highly plausible and rooted in a firm understanding of actual events and their context. In so doing, Timothy Venning gives the reader a clearer understanding of the factors at play and why things happened the way they did, as well as a tantalizing view of what might so easily have been different. • Did the pretenders Lambert Simnel and Perkin Warbeck ever have a realistic chance of a successful invsasion/coup? • If Henry Fitzroy, Henry VIII's illegitimate son, had not died young, might he have been a suitable King or at least Regent on the King's death? • What if Edward VI had not died at 15 but reigned into the 1560s and 70s? • How might the Spanish Armada have succeeded in landing an army in England, and with what likely outcome? It is a really interesting book and thoroughly recommended as it opens your mind to things you might not have considered before, while giving a comprehensive overview of how things actually played out. Timothy Venning has translated his formidable knowledge of the medieval history of Britain into a thoughtful 'what if' series of scenarios... A very credible work. Useful for the gamer for both general campaign ideas and points of historical departure, and also for more in-depth ideas that could easily translate to the tabletop for certain period events.